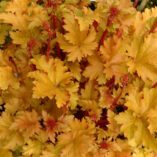 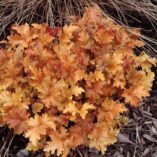 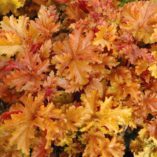 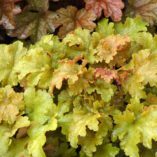 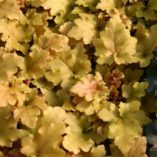 Heuchera ‘Amber Waves’ | TERRA NOVA® Nurseries, Inc.
Every revolution starts with a single player, and 'Amber Waves' was the first, warm amber Heuchera in the marketplace. Wonderfully ruffled leaves are brightest in spring. 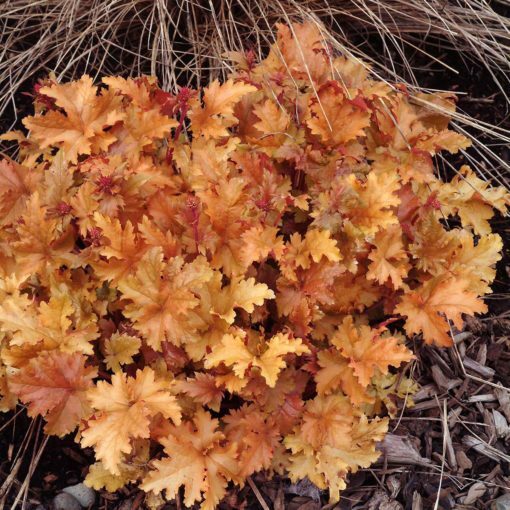 Its compact habit makes it a natural for the front of the border or in the rock garden. 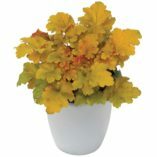 A perfect neutral tone to combine with any color! 8" / 17" / 14"
It has amber-gold spring foliage to tawny-khaki summer shades, ruffled leaf edges, and a compact habit. 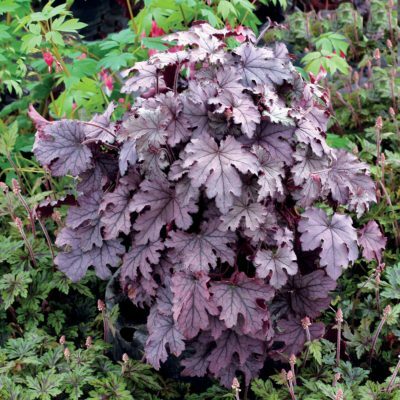 Four Oaks Best New Plant Award in 2001. 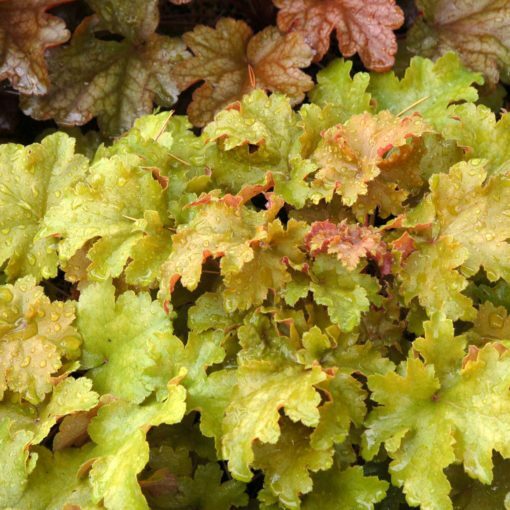 Overwintered well in Poland. 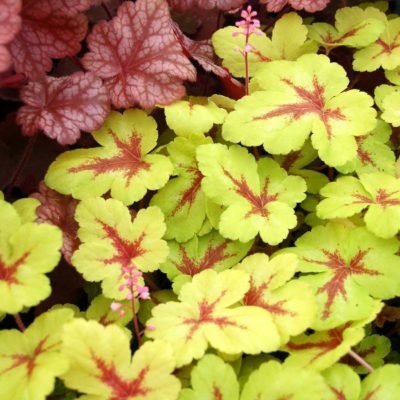 Plants are more compact with more vivid color in morning sun. 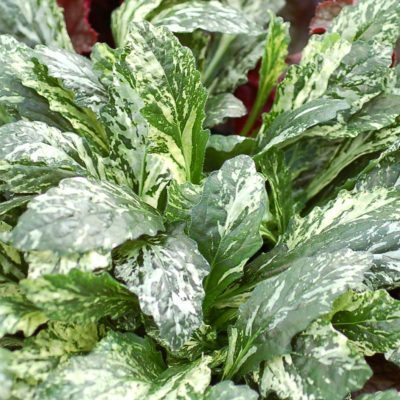 If it starts looking bleached, give it less afternoon light. 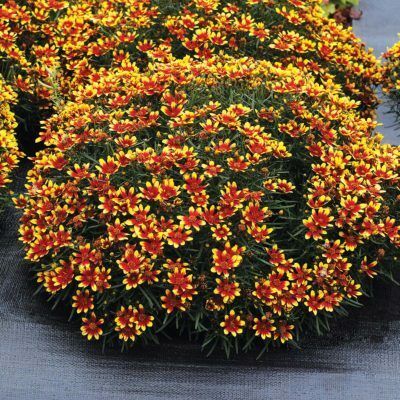 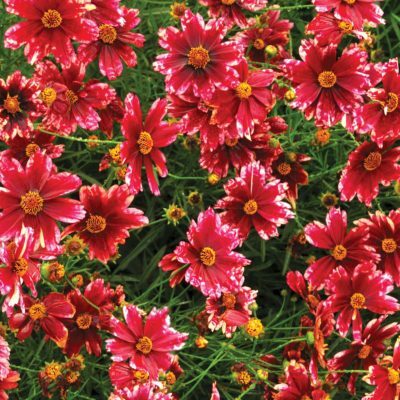 Lift and replant every two years in late summer/ autumn with crown just above soil. This plant was the winner of the several best new plant awards in England.